K. A. Doore got a degree in Classics, and then bounced around doing a variety of things, including fixing bicycles, keeping chickens, weightlifting, photographing saguaros, and went on long, dry hikes in the desert. She now lives in Michigan with her wife and daughter, two cats, and no ghost--yet. 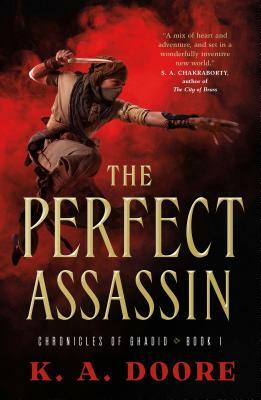 The Chronicles of Ghadid is her trilogy debut, beginning with The Perfect Assassin.